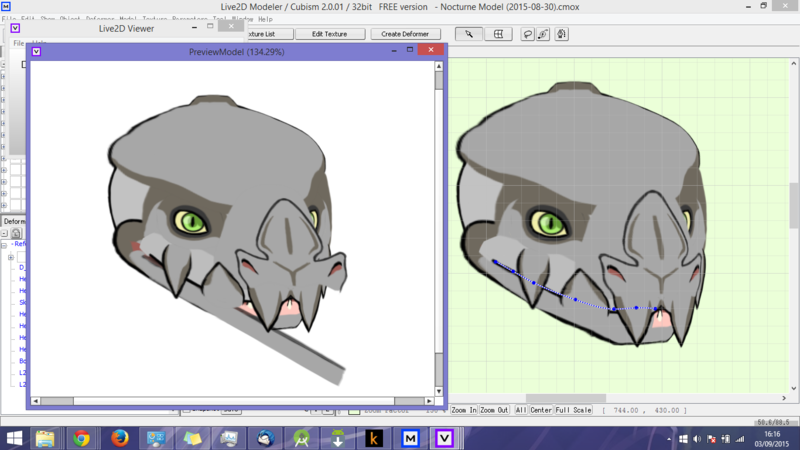 So I've noticed before that the model's I've made in Modeler look a bit different from what I see in Live2D Viewer. My latest model is showing some serious problems that need to be addressed but I'm not sure how. I'm still working on it, but I feel I need to fix these issues before I end up with a broken final product. The most obvious breaks are the nose, bottom lip and the corner of the top lip near the jaw pivot. Will an exported model look just like what I've built in Modeler, or will it look like the Live2DViewer version with the unintended bugs? I am using the Modeler and Viewer. It is not happening similar problems. I don't analyze the .cmox file , I don't know the cause . I think that it is good to consult sends a .cmox file to Live2D support.